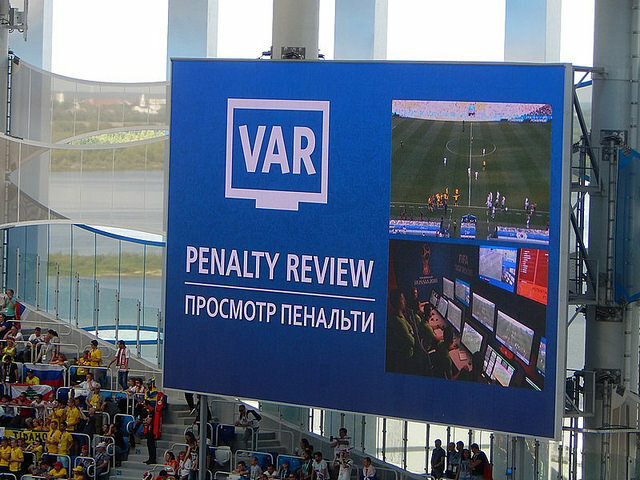 Video Assistant Referee (VAR) made its World Cup debut this summer in Russia. While many domestic leagues have implemented the technology, the Champions League has held out. Courtesy of Wikipedia Commons. If you ever feel inept, remember that touchline referees exist. Though touchline referees are easily forgotten, this past week soccer fans were all rudely reminded of their presence in perhaps the most conceited manner possible. In Juventus’ Champions League match against Valencia on Tuesday, Sept. 18, the head referee showed megastar Cristiano Ronaldo a direct red card. For what, exactly, he was penalized remains unclear. I’ve watched several clips of the preceding moments, closely examining Ronaldo’s movements and actions, and have found nothing. There didn’t seem to be any foul at all. As Ronaldo moves to position himself to receive the ball, the Valencia defender falls after minimal contact. Peeved, Ronaldo gently brushes his hand over the hair of the Valenciano. That is all. But after the play ends and the tempers flare, the touchline referee quietly emerges from beyond the far side of the goal, gesturing to the center referee. Ronaldo then receives a red card, and, in great distress and confusion, departs from the field. If you didn’t see the incident, but are frustrated or even confused by this description, you would not be the first. Who even knew that there were touchline referees? For those who did, could you recall a moment when a touchline referee actually made a call that impacted a game? I sure can’t. 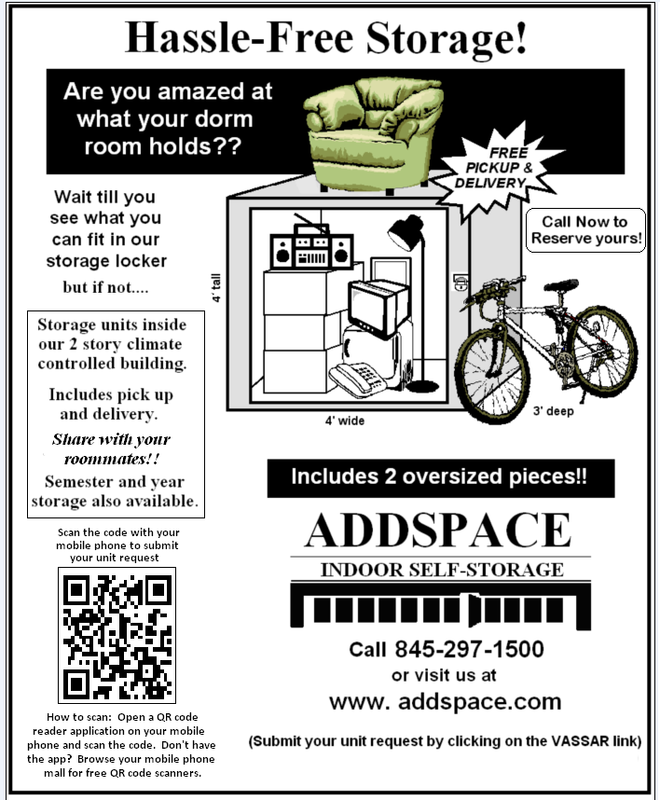 The events of last Tuesday were not only unexpected, but also entirely abnormal. And while Juventus still persisted and earned a 2-0 victory, fans cannot overlook the extraordinary actions of the referee. This past summer in the 2018 World Cup, we grew accustomed to the addition of new technology to the beautiful game. Video Assistant Referee (VAR) technology allowed a second team of referees, isolated separately in the stadium, to instantly watch replays of any questionable call or critical moment of a match. Upon the review, the replay crew could suggest to the center referee on the pitch that they take a quick look at a replay, pausing the game. While many were hesitant about VAR—thinking that the technology would ruin the flow of games with its frequent pauses—its implementation in the World Cup was superb. It vastly reduced obvious errors (to which referees are always prone) to such a point that players and fans expected any questionable call to be decided by VAR review. Thankfully, several of Europe’s top leagues have implemented VAR, including Serie A, La Liga and the Bundesliga, but other leagues and cups, including the Premier League and the Champions League, have failed to adopt VAR, returning instead to standards of refereeing that now seem primitive. The high-profile incident with Ronaldo has only brought this topic back into the spotlight. In the early matches of the new Premier League season, players have frequently grumbled after calls with which they disagree. These sentiments will only be amplified by Ronaldo’s sending off, especially in the Champions League. I believe that it is always prudent to review the decisions made by referees on the field. VAR can help referees improve the quality of their officiating and ensures fairness on the field for all parties. However, now emboldened by the knowledge that VAR technology exists, players feel even more entitled to question the referee’s decisions during matches. What many fans and players initially feared about VAR—that it would greatly disrupt matches—is now happening and will increase, not so much due to VAR’s implementation, but rather its absence. Players contesting decisions is nothing new, but their protestations have now increased with any call they feel is unjust or incorrect. Their frustrations unfortunately have a tendency to spill over into games, resulting in more reckless tackles and challenges, and thus increasing the danger of the sport. This situation begs the question: Why is there no VAR in the Champions League? For a competition that draws from all over Europe, one reason may the financial disparities that exist between participants, for in some leagues, clubs must bear the brunt of the cost of VAR implementation. In leagues like the Premier League, Bundesliga, Serie A, La Liga and Ligue 1, it is feasible to implement the technology and provide adequate training to their domestic referees. In smaller leagues like those of Turkey and Switzerland, however, where even the best teams are not guaranteed qualification for the Champions League every year, the cost of VAR and training may not be worth it. For clubs such as Galatasaray (Turkey) or Young Boys (Switzerland) to spend a sizeable amount of money (estimated at $6 million a year) on VAR, when it may not even be used in a given year, must be a tough sell. Unfortunately, if a competing club in the Champions League does not have VAR capabilities, it would be unfair to use it elsewhere. So until a solution is reached, perhaps one in which UEFA (the governing body of European soccer) helps mitigate the cost of VAR, the Champions League will remain without the technology. And that means, unfortunately, that touchline referees will continue to exist.